Single-family housing authorizations, maintenance, and remodeling have all decreased year over year according to the November 2018 BuildFax Housing Report . BuildFax states that this is the first time since 2011 to see a decrease in all three categories, and notes that it could point to a potential market slowdown. Single-family authorizations decreased by 0.86 percent year over year, while maintenance volume decreased by 5.85 percent and remodel volume decreased by 12 percent year over year. In commercial construction, the BuildFax report found that construction has decreased along the same lines as residential. 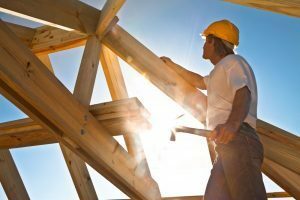 Despite the decrease, the report notes that commercial construction spending has been on a steady increase over the past five years, though disproportionate increases between construction cost and volume point out a labor shortage. According to Fannie Mae , the labor market is projected to be one of the highlights of the economic growth and with inflation around Fed’s 2 percent target, and Fannie Mae predicts that Fed will hike rates once more in December and two more times in 2019, despite rising market expectations of fewer hikes amid stock market volatility.